Sweep between rusty red dunes and over honey-coloured peaks, then wade through lush vegetation to a freshwater oasis, surrounded by swaying palms. 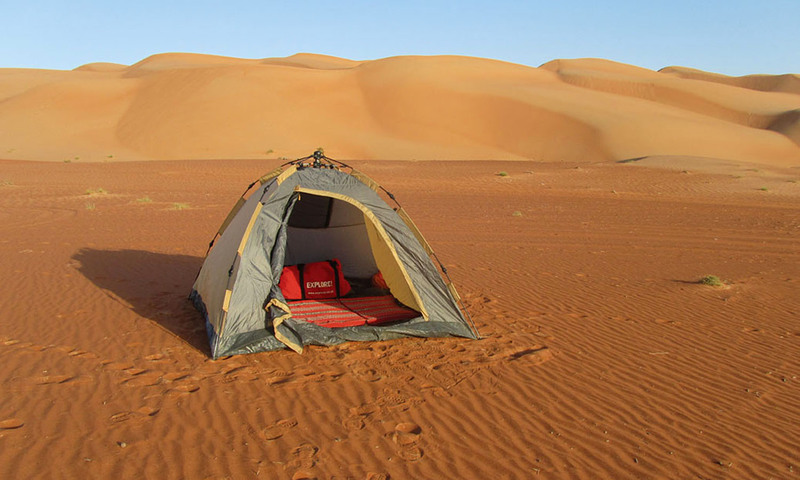 This is the romantic image of the desert come to life, where you can stargaze from your camp under the clear Arabian sky before mists veil the night. You'll encounter nomadic tribesmen who roam the sands with goats and camels, and peer down a sheer 1,000-metre drop to the bottom of Jebel Shams’s ‘Grand Canyon.’ Explore the fishing village at Ayega, once a stronghold of rebellious sheikhs, and pass a night on a dhow, a traditional sailing vessel. Prices start at about US$1,465 for this eight-day trip with Explore! The Adventure Travel Experts. The extreme conditions of the desert can get to some visitors, so make sure you prepare for the heat (and the cold at night).